As a coach, I am more built than born. I never wanted to do it. And, honestly, I never thought I’d do it. I looked at other coaches and never wanted to go through what they did. That desire came later. 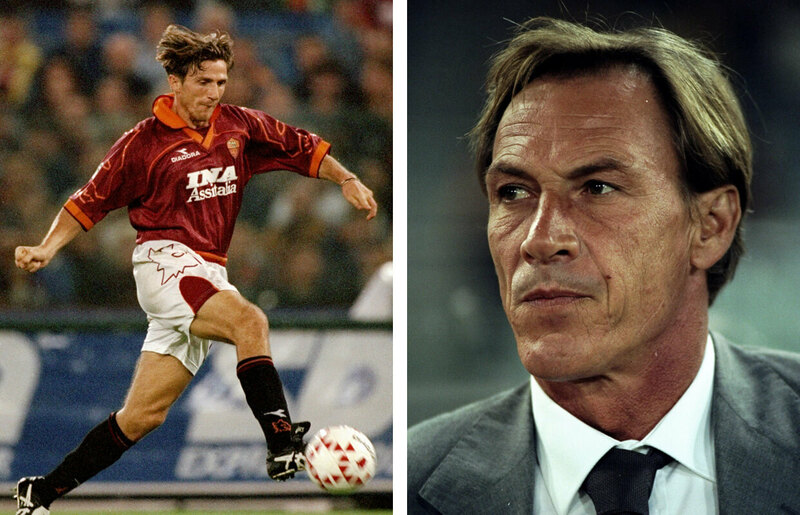 After hanging up my boots as a player, I became team manager at AS Roma. I did it for a year, but I didn’t enjoy the role. It didn’t feel right, so I left. I didn’t think about football any more. Distanced myself from the game. I didn’t even look at the results. Next, I tried my hand at consultancy for six months. Advising a small club, Val di Sangro, in the transfer market. But I wasn’t satisfied doing that, either. Little by little, I started to miss the smell of the grass. Those feelings you get when you’re in the dressing room. Turning to coaching put me back in contact with those feelings. 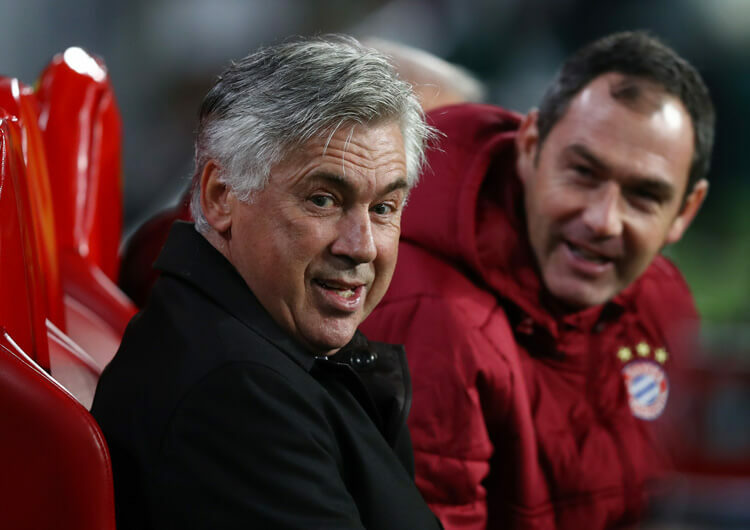 In Italy, we tend to focus a lot more on the defensive side of things than the attacking side. We work a lot on tactics. We have a lot of knowledgeable coaches and leave nothing to chance. As a player (below left), I had been influenced by many of the coaches I played for. Marcello Lippi, early in my career, at Lucchese. Later, here at Roma, Fabio Capello. I am not going to list them all, but I took something from each of them. Positive and negative. Some of them showed me what to do. Others what not to do. Now, as a coach, I have always watched Pep Guardiola with great admiration. It’s easy to say that, isn’t it? But I like how he thinks about the game. I like that his idea is always to go after the opposition. But the main influence for me in terms of playing style, being offensive and attacking your opponent, was Zdenek Zeman. Zeman (below, right) was a trailblazer. His teams were very attacking. They were well drilled and tried to score one more than the opposition. Normally I’m not a fan of imitating or copying someone else’s work. But I learned a great deal about the attacking side of the game from him, and still draw great benefit from it today. My philosophy is to try and dominate the game. Obviously, that’s not always possible. Before coaching Roma, I was coach of Sassuolo. Even when we went to play teams that were clearly superior to us, though, we always tried to play our game and hurt our opponent. I don’t like sterile possession. Possession that is an end in itself. I don’t want to sit back and wait for the opposition. I want to go and get after our opponent. You can’t always do that. But that’s the idea. The game has got better since I was a player. It has improved from a technical point of view. It’s quicker. The goalkeeper no longer picks the ball up as often. There’s less downtime, and the less downtime there is the more beautiful our game becomes. We can all analyse and study tape. But the difference is made by those who are successful in getting across what they want. 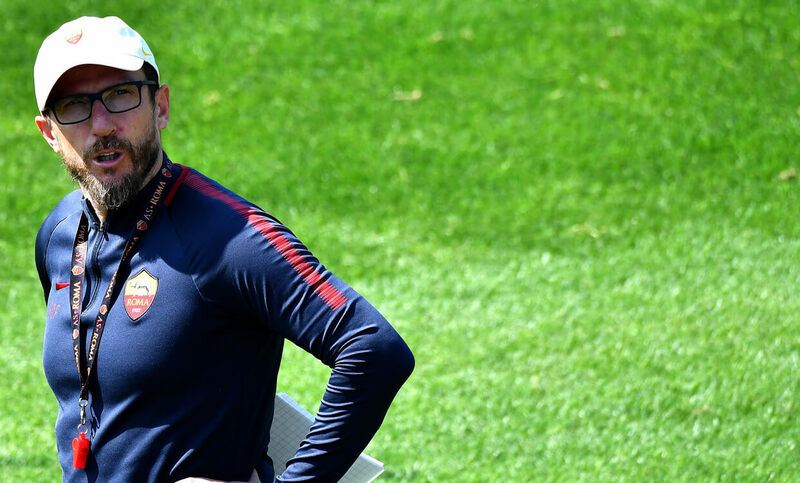 As I said before, watching and trying to imitate someone is not the same as being a coach who feels something and manages to get it across to their players. For that reason, I think there will always be something new in football. There will always be someone who has a certain way of doing things, and is able to get it across to their players. 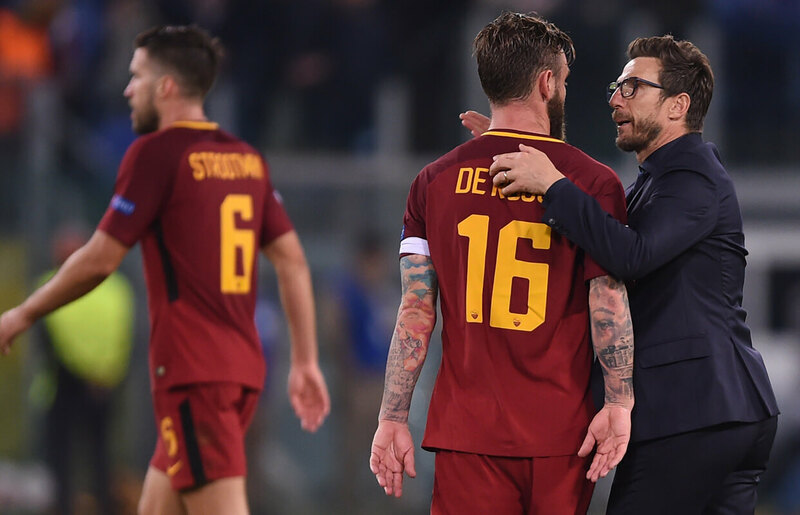 I look at my squad at Roma now, and I think Daniele De Rossi has a chance to make it as a coach. He has the character traits, the experience, the knowledge. 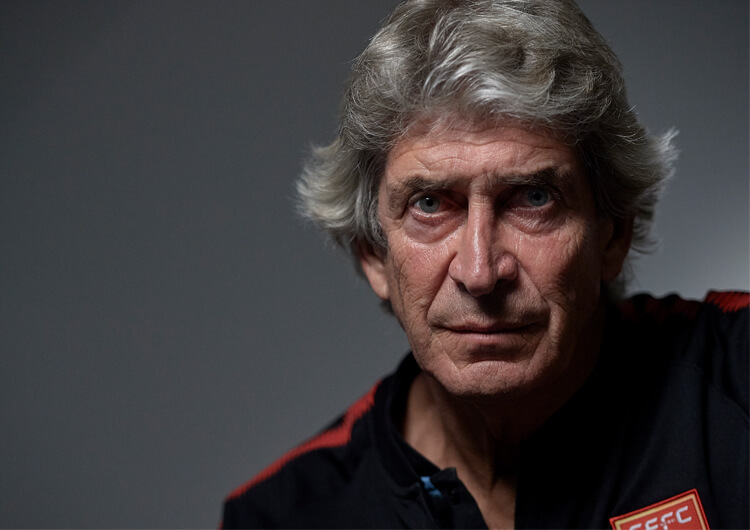 He has worked under a lot of different managers. I hope in the future I’m among those who have left a mark on him. Football is not a science. But I do believe that science can drive football to improve. Stats are useful. They can give you important clues or indications when it comes to preparing for a game, or when you’re looking to improve weaknesses you might have. If I see a stat that shows me my team is not playing a lot of vertical passes, I will look at working on this side of our game more than others in training because I am coach who favours playing vertical. 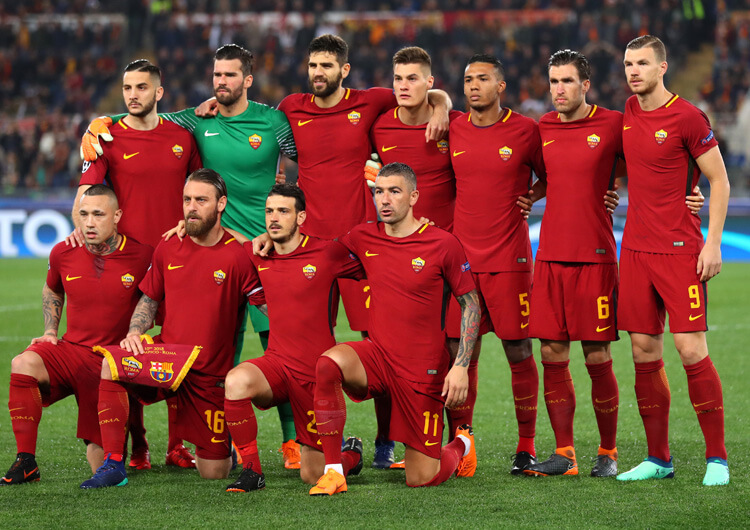 At a club like Roma, a familiarity with the ambiente – the environment or milieu around a club – is definitely an advantage. It’s never easy to deal with, but the fact I experienced it as a player is a big advantage. The role of a coach is totally different, though. It comes with greater responsibility, and the ambiente must never be an excuse. Whoever comes here knows that the media and the situations you encounter are totally different. The fans are really passionate and have the desire to win what they have gone a long time without. At times, that desire can become bigger than you might imagine. 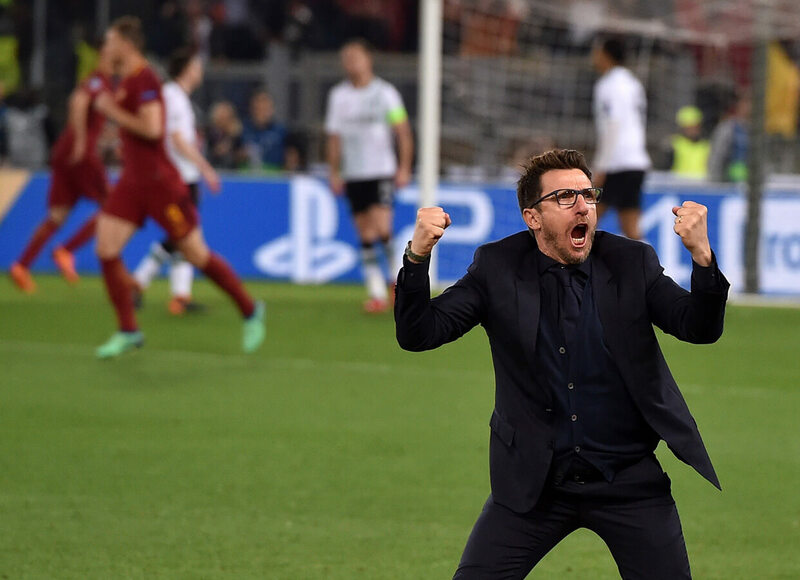 But it is a source of great pride to be able to coach Roma, knowing that you have to do a good, balanced job at managing the outside. In 2001, when I played for the last Roma team to win the league, it took a bit of ability and a bit of good luck. President Sensi had invested a lot of money, and we were a very good team. At the same time, in order to win titles you need great team spirit. Beyond great footballers, that team had great men. People talk too easily about a winning mentality, though. Before that, you need to create a winning environment with rules, to then have a foundation on which to become winners. That takes time. You need to build. You need to give people who come in the time to work. In football, it’s often the case that people want everything right away. This doesn’t allow you to improve as a team, a coach or a club. I hope that’s what we can do here. We need to work at trying to reach an objective without underestimating anything. Not even the smallest detail. Details are what make the difference. That goes for everything. Even who cuts the grass.